During the 1920s, the City of Birmingham began constructing the first of three giant power stations at Hams Hall. When completed, the Hams Hall site was the largest power station in Europe, with a combined generating capacity of over 900MW. Together the three power stations burned around 1.25 million tonnes of coal a year. 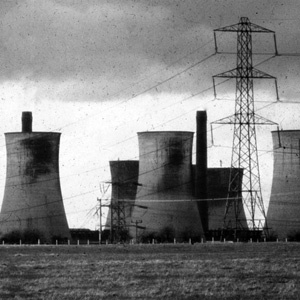 Watch a British Pathé news reel of the opening of Hams Hall power station in 1929. The site was nationalised in the 1940s and continued generating electricity up until the 1990s. 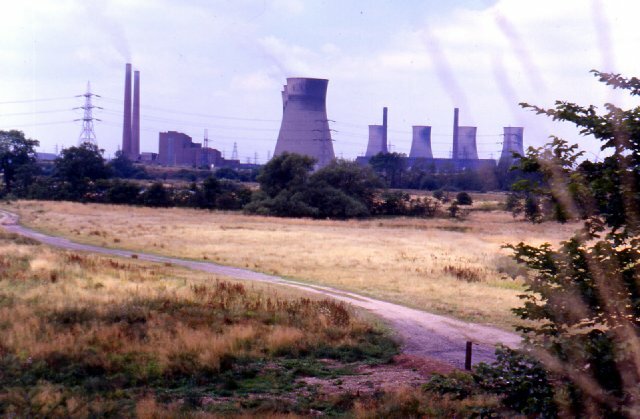 By 1993 all three power stations had been closed and demolished, and the site was sold for redevelopment. 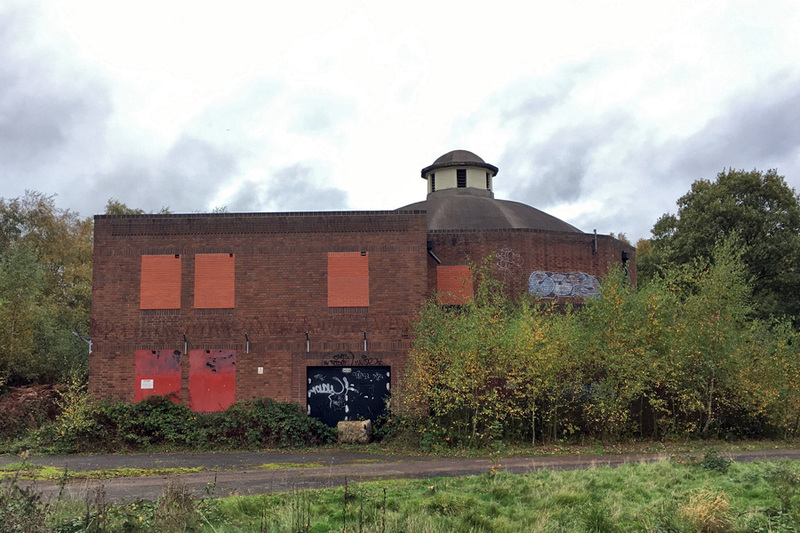 The only building to escape demolition is the sub-station control building, with its magnificent domed ceiling. The building has a new purpose as a bat roost and is home to brown long-eared bats. In one corner of the park, in the old walled garden of the long-gone Hams Hall, is the Hams Hall Environmental Studies Centre, the current home of the Tame Valley Wetlands team. 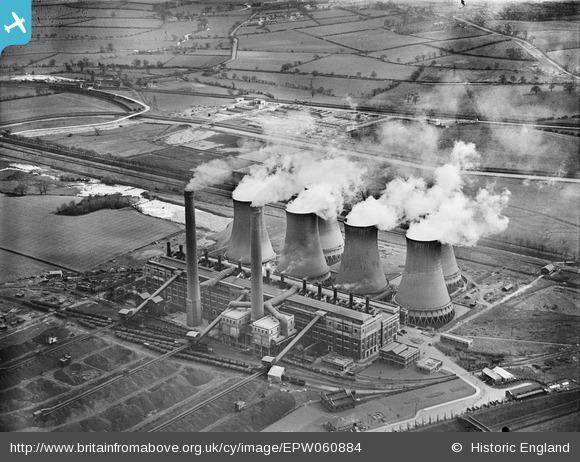 ▸ Visit the Britain from above website to see more aerial pictures of the Hams Hall power station. 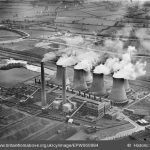 ▸ Visit the Power Stations Revisited website for a comprehensive range of photographs showing all aspects of the power station, from construction to demolition. 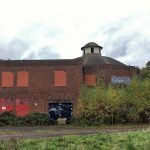 ▸ Visit the 360cities website to see a fascinating 360° panorama of the inside of the Hams Hall substation control room, the only remaining power station building. The Hams Hall Power Station was demolished in the 1990s and is now the location of the Hams Hall Distribution Park. 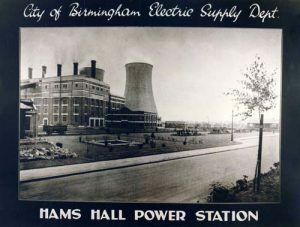 The Power Stations Revisited website has a fascinating archive of photographs of Hams Hall.